Island Boats Sales and Service, is one of the best kept secrets in Crescent Beach. Just next door to Genung's Fish Camp, Island Boats Sales and Service has been providing outstanding outboard motor repair for the past 10+ years. 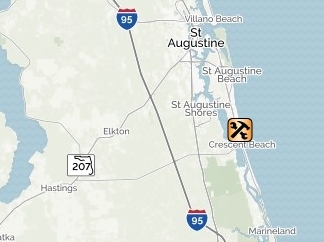 On the southern end of St. Augusine, Florida, Island Boat Sales and Service offers customers over 40 years of experience as well as Consignment Boat Sales, and Engine Repairs, you can get directions from our Map. Welcome to our space on the World Wide Web. 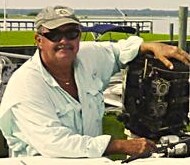 Let me take a moment to introduce myself, I am Brian Stephenson, and I have been providing my customers with outboard motor repair services for better than 40 years, and have been in this little piece of heaven for over 7 years. Come on down to Crescent Beach, on the southern end of St. Augustine, FL. Yes, depending on your schedule, my schedule and the service you are in need of I do make road calls, and pickup / delivery service is also available if needed. Remember the two happiest days? Let us help with the SOLD IT day! Click on the map to open a larger map and get directions to our shop, there are also time when I may be able to come to you and pick up / deliver your boat. Awesome! This is the guy you hope to find when you're in an area you're not familiar with. We were on a boating/fishing vacation labor day weekend when the motor crapped out. Brian had us back on the water on Monday! Thank you Brian!! I have had Brian work on my boat a number of times and he also sold it for me. He's as honest as a man can come and also does excellent work at a fair price. A pleasure to do business with.